Samsung Memoir is better than you think? 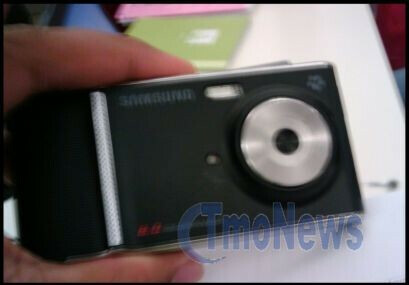 On Monday, the first pictures of the Samsung Memoir for T-Mobile USA appeared. An 8-megapixel phone with wide touchscreen, it was immediately commented as the “US version of the Pixon”. Unfortunately, many “US versions” are not as good as the original models, and people started to worry about the performance of Memoir, even before it is officially announced. However, from the couple of low-res blurry photos, we can see something interesting – the flash of the phone seems to be a Xenon one, instead of the LED used in the Pixon. In addition, there is a small circular object, which looks as a LED lamp for focus-assistance and video capturing, as in Sony Ericsson phones. Having in mind Pixon’s poor flash, if Memoir has better one and identical image quality in other situations, it will be a significantly better cameraphone. We got a tip confirming the Xenon flash and saying that the Memoir has model number SGH-T929 and will launch around the middle of February, 2009. Unfortunately, there is no new information about the rest of its features. it might be an okay camera phone, but i'm not so sure about having it on t-mobile. We all know t-mobile isn't the best when it comes to coverage or network! Good luck...! No offense Esa, but T-Mobile having bad coverage is a thing of the past....I advise you to go on their website and check it yourself. On top of that, the new T-mobile exclusive 3G network is as good as it gets. vzq fanman, it all depends on where do you live. From personal experience, in NY Verizon has the best coverage, but AT&T is not better than T-MO. What I was trying to say, the new 3G T-MO network is excellent and helps the signal a lot.... so it's all about personal usage and where do you use the phone! 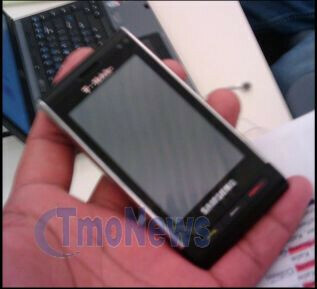 I would imagine that's gonna be a thick phone..
Actually it looks a lot like the LG Viewty.